Every fan should look fabulous on game day and every day! 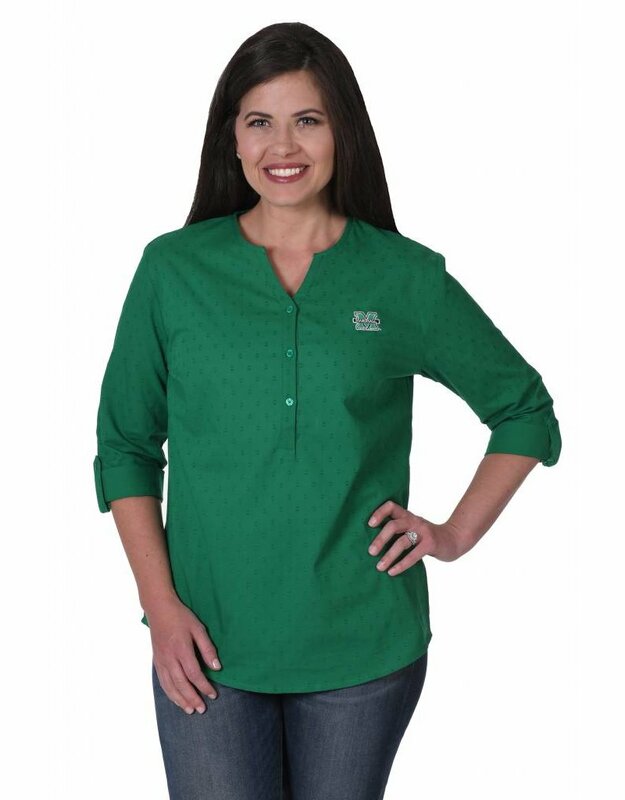 The Swiss Dot Tunic is designed to keep your classic look in check with a 3/4 roll-up sleeve and a 3-button collar. 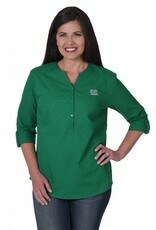 This medium-weight cotton blouse can be dressed up or down, and features an embroidered Marshall "M" logo. Machine wash cold; lay flat to dry.